After an exciting few months of behind the scenes activity, we are thrilled to announce the launch of our new website! 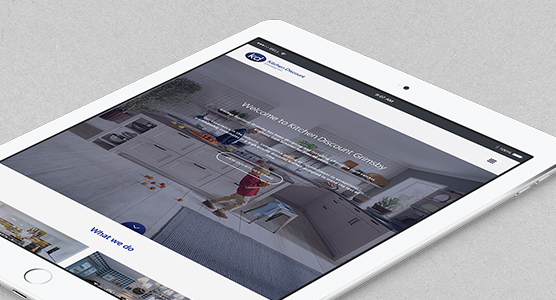 We have been working with Boxed Red Marketing to create an easy-to-use, informative and exciting website that showcases the ranges available at Kitchen Discount Grimsby, and tells you what it’s like to work with us. As a proud stockist of premium Schüller kitchens, we wanted to show you the fantastic ranges available from the brand and how they might look in your home. You will be able to browse the latest kitchens from Schüller and start to consider the perfect accessories, appliances, worktops and finishing touches to complete the new room in your home. A spokesperson from Kitchen Discount Grimsby said: “It’s been really exciting to see the website come together as we’ve worked with Boxed Red, and we hope our customers will enjoy browsing the new ranges online before popping in to the showroom, or giving us a call for a quote.